Block 3 from Reach for the Stars is the easiest so far, in my opinion. I didn’t select anything for fussy cutting this time. I do have a unfounded fear of 1/8″ cutting instructions – so whenever I see those – I look forward in the patterns to see how the pieces will be used and usually round up the size to the next 1/4 or 1/2″ measurement. That’s what I did with these pieces. I still cut the squares diagonally as the instructions directed, but bumped up the square size so I would have some room to square up my sub units as I went. My quarter inch seams are getting more consistent too, and that has helped tremendously. As I watch this quilt project grow … I realized that I have a perfect match for it! My adopted cat Jewelry may have subconsciously inspired my affection for the colors. I’ve mentioned my cats before … we went pet-free for many years – but I have always been a cat person. Usually it was only 1 cat at a time until they grew old and died. Last summer, however, my family decided to foster a couple of kittens from a rescue group. They were named Possum and Bobbie (a bobtail tabby cat). Both girls. My 4 year old promptly renamed them to Jewelry and Sparkle. We also took in a feral, solid black, mommy cat who had three very young kittens. Two of the kittens have not survived (our twins, Rosy and Posy), … but their big sister Diamonds is as big or bigger than her mommy now. We simply call mommy cat “Momma”. Lastly, I came across a young calico kitty sitting outside the CVS pharmacy on Christmas Eve. Freezing outside. She came home with me. Needless to say, all cats are officially our family now. And spayed. Failed fosters for sure. Finally – I want to share with you another Reach for the Stars center medallion that was made by Jennifer Thacker in Katy, TX. She has gone to great lengths to try and locate almost all of the fabric collection that was used in the original quilt. In lieu of the paisley panel, she has found a beautiful replacement option. Her medallion is stunning! She doesn’t blog (yet! ), so I told her that I would share her progress here as well. We actually only live about an hour apart and she works in a local quilt shop – so I think a shopping trip will be necessary soon! Thanks for sharing Jennifer! Dawn at First Light has done her first three blocks too, and I eagerly await the next block from Sherri Crisp in Knoxville. 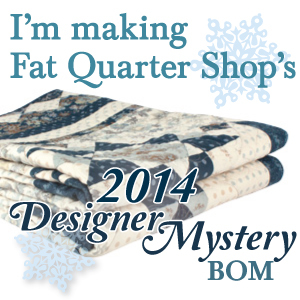 If you have seen anyone else blogging about this quilt – I would love to hear about it! I hope you enjoy your TV and quilting time today! We are settled inside for a lazy Sunday. 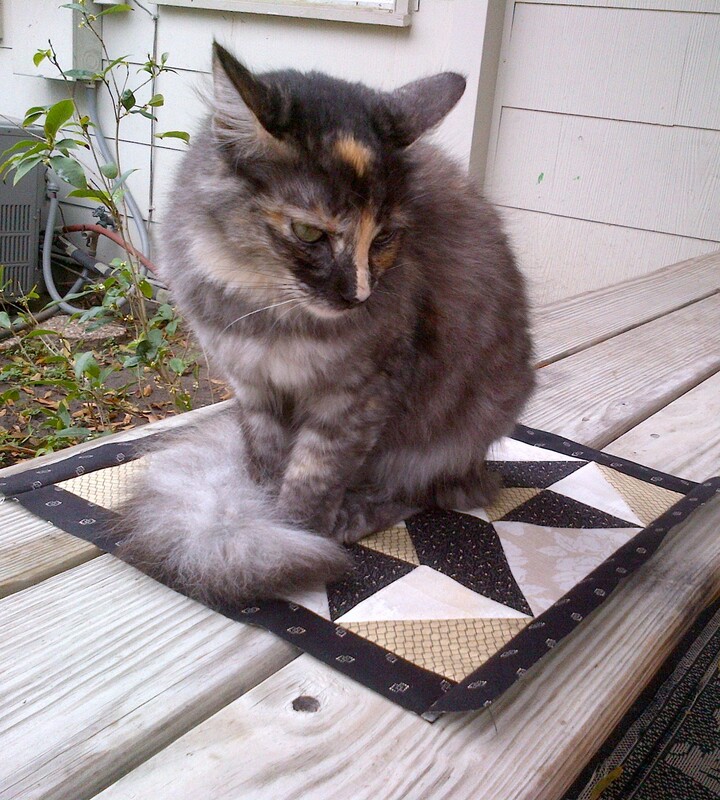 Your Block 3 is beautiful, Jennifer, and matches your kitty/muse Jewelry just perfectly! I agree that this is the easiest block so far. 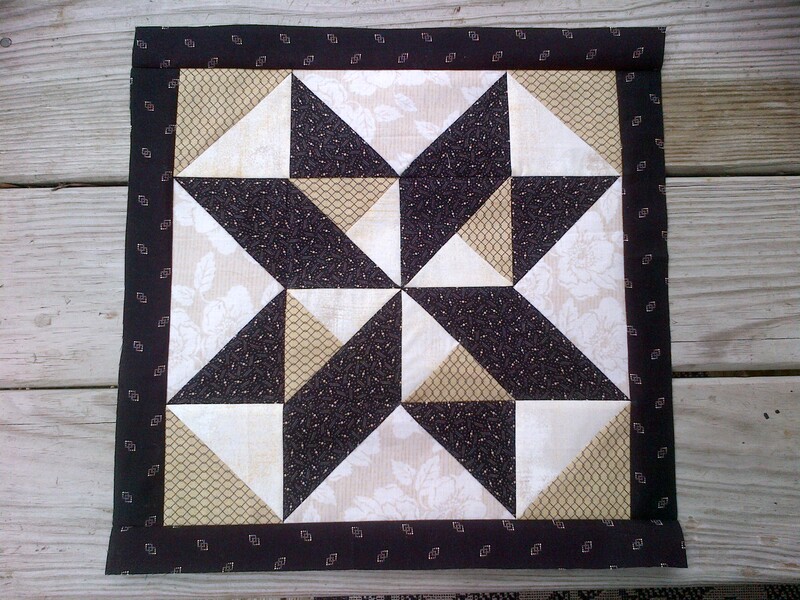 Love Jennifer Thacker’s medallion block too!! Paper patterns for Toulouse are available at Carrie’s Online Shop. Select Paper patterns, that will take you to a page with a drop down box, select Toulouse, then purchase the pattern. I have checked with Carrie and she does have the paper Toulouse patterns in stock. 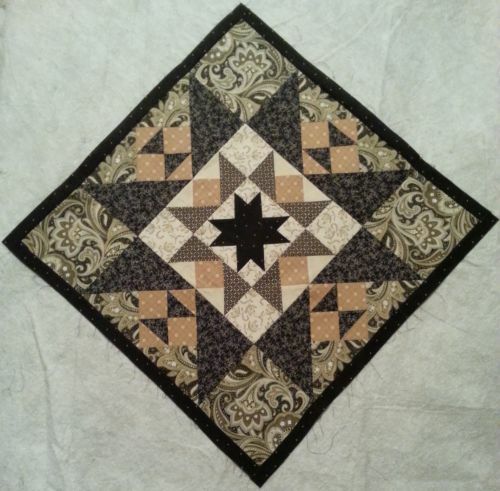 Try again, you’ll love making this quilt! Sorry it is taking me so long to respond to my comments Sharon! I’m glad to hear you could be joining the group. I find it hard NOT to use all Little Black Dress and I make myself mix in the other collections that I have bought. There isn’t a big focus/floral motif print in LBDII, so you would have to look at something else – but the rest of it would be beautiful in that collection! Let us see pictures if you get some blocks done!